It is a lifelong developmental disability that affects how a person communicates with and relates to other people, and how they experience the world around them. It has a huge range of symptoms so everyone comes within the “range” even though they may not be autistic. For some it means they do not give or hold eye contact, or are painfully shy or find it difficult to concentrate on the same thing for a longer period of time. They may struggle to form words or be co-ordinated; perhaps get confused with descriptions as they muddle ideas and thought processes. There can be delayed speech or language understanding. Some autistics are hyper focussed on specific or repetitive tasks, to the point of being obsessive. They can be forgetful – lose keys or wallet, forgets to pay bills. There is often a lot of restlessness and fidgeting. Even a “butterfly” mind. This can show up as being brilliant at a narrow range of tasks e.g playing the piano or working out how a plane works, but cannot do other tasks which most people find easy e.g follow a set of instructions / directions to a location. 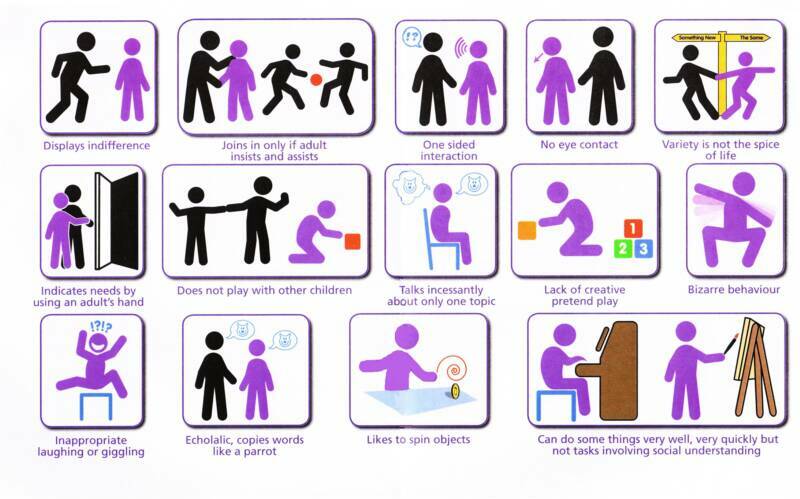 In fact many other syndromes and disorders have aspects of Autism within them. There can be more than one diagnosis concurrently too. Whilst Osteopathy cannot cure autism (no-one can) we can help to improve the neural connections and blood supply, give advice about diet and more to help bring things towards a better normal. This makes a difference to how that individual is able to function. It can be the difference to being able to function within society and feeling a complete outcast. There is no one answer, frequently a range of treatments and care routines are able to lead to the improvement. If you want to discuss a case please book a free mini phone consultation with Gayle before making a full appointment. Click the link below.